Alright, so it looks like that you are someone who wants to install some Android Apps or Games on your Windows PC. Well, that’s great! Android has some really good offerings which are not available for Windows. 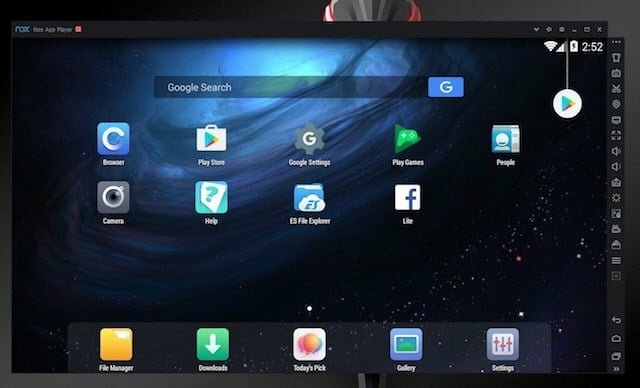 Now, there are quite a lot of ways to install and use Android Apps and games on any Windows PC, but one of the best and the most popular one being with the help of an Android Emulator. Now, if you look out on the internet for an Android Emulator for Windows PC, you won’t be able to make a choice as there are a lot of options out there. Some of them are good, while others not so much. Anyways, today in this post, we would be covering on Top 7 Best Android Emulators for Windows 10 PC. If that sounds interesting, let’s jump right into it. Should we? 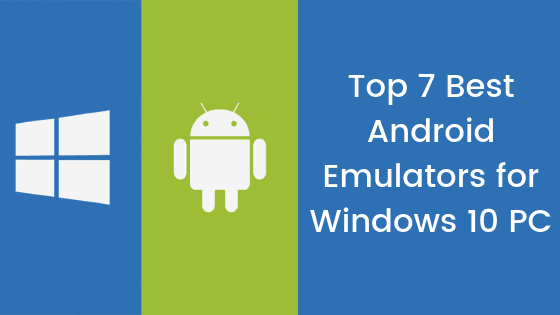 Here is our list of Top 7 Best Android Emulators for Windows 10 PC. A lot of you guys already saw this coming. 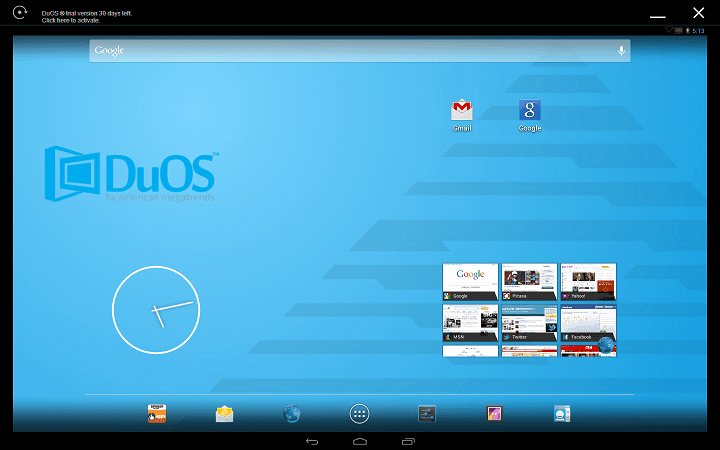 Well, no list of Best Android Emulators can be completed without Bluestacks Android App Player. 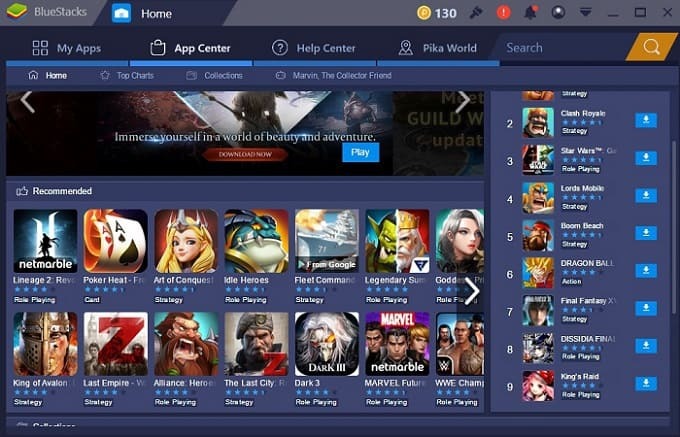 Now, one of the best things about the Bluestacks Android App Player for Windows 10 is that it is compatible with low-end as well as with a high-end configuration. You can install most of the apps which are available on the Google Play Store without any issues on your Windows 10 PC using BlueStacks. 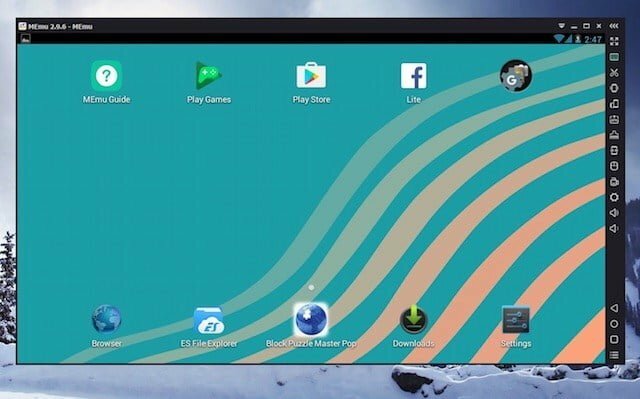 Bluestacks is completely free to download and install on your Computer. 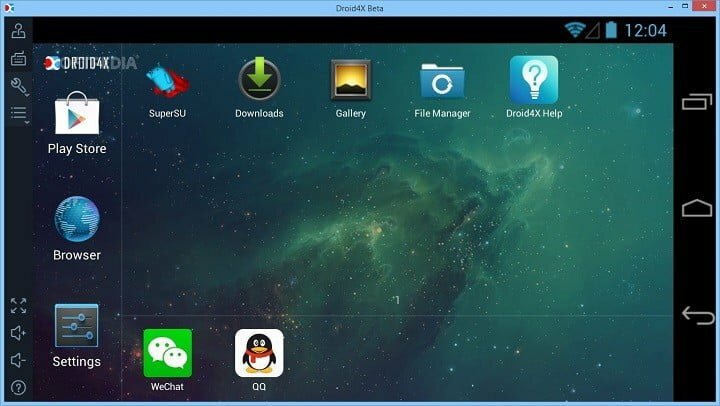 You should definitely try this Android Emulator on your Windows 10 PC. 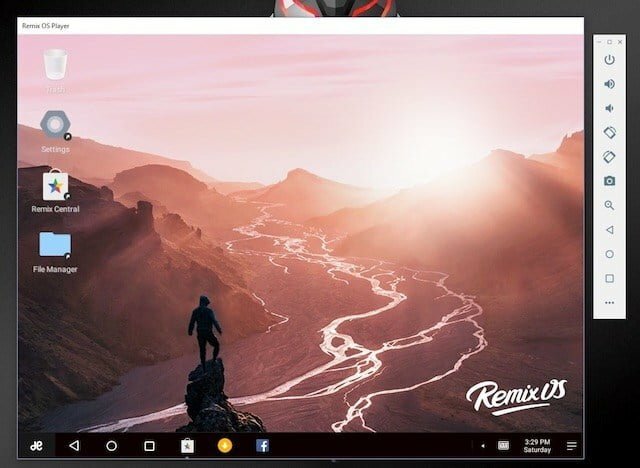 Coming in at number 2 on our list of Top 7 Best Android Emulators for Windows 10 PC, we have the Remix OS Player for Windows 10 PC. Now, if your Windows 10 PC is running on an AMD chipset, then you can move on to the next Emulator on our list. This is because the Remix OS Player does not supports some AMD Chipsets and also requires Virtualisation Technology enabled. Anyways, the Remix OS Player has a very nice nice user interface which is pleasant to the eyes. Like the Bluestacks, with Remix OS Player too, you can download and install most of the apps and games from the Google Play Store. MEmu is another great Android Emulator for Windows 10 PC. Now, the reason why we decided to put the MEmu in the third position was that of its compatibilit. The MEmu is compatible with almost every Windows 10 PC out there, does not matter if you have Intel, or AMD powered chip, chances are that the MEmu will run flawlessly on your PC. You can install any APK file on your Windows 10 PC using this amazing Android Emulator. The apps and games runs quite smoothly on this Android Emulator. Also, all the apk files on your Windows PC gets asociated with MEmu, so all you need to do is click on any apk file. If you are someone who likes a classic Android Device, then you should definitely take a look at Droid4x. Droid4x is completely free to download and install. The Emulator does not demand any special hardware configuration. You should have just a decent configuration and you are good to go. Now, one of the best things about this Android Emulator for Windows 10 PC is that it has an App for Android which enables you to control the apps and games on your Windows 10 PC. Isn’t that amazing? At number 5, we have the Nox Player on our list of Top 7 Best Android Emulators for Windows 10 PC. Now, this Android Emulator is based on the Android 4.4 Kitkat which is a bit outdated now. 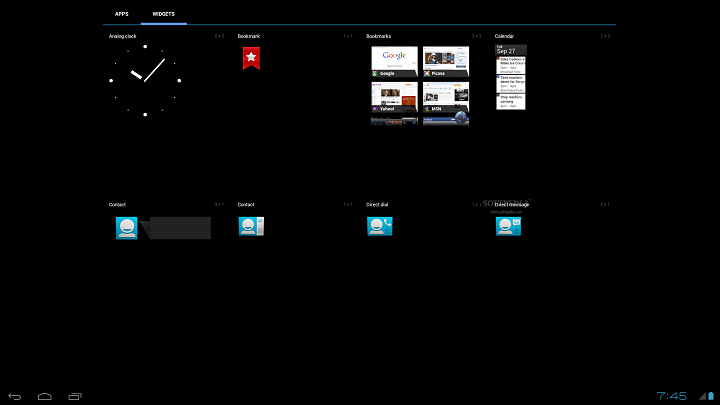 Anyways, when it comes to features, the Nox Player has a lot of them. The Nox Player gives users the full control over it. You can change the number of CPU cores, FPS or even the amount of RAM you would like to allocate to this Emulator. There are 2 graphics modes to choose from: DirectX or OpenGL. Windroy is another decent Android App Emulator for the Windows 10 PC. If you are someone who does not have the best configuration out there, then you would absolutely love this Android Emulator. The Windroy runs on the Windows kernel completely. The interface of this Emulator is quite simple and straightforward. You should not expect a great looking interface with the capability of running high-end games and apps. The simplicity of this Emulator gained a spot in our list. And last, but certainly not the least, we have the AMIDuOS. Now, if you are an Android App Developer who is here looking for an Emulator to test your Android Apps, then this won’t be the best chocie for you. For everyone else, the AMIDuOS is a pretty good Android Emulator for Windows PC. The Interface is on point, it comes in two variants, one with Jelly Bean and another one with Lollipop. The apps and games runs quite smoothly on this emulator. Now, you might be wondering if everything’s good with this Emulator, then why it sits at number 7 on our list. Well, the AMIDuOS is not free and comes for $15. So, that’s it guys, this was our take on Top 7 Best Android Emulators for Windows 10 PC. Let us know your pick for the Best Android Emulator in the comments down below.